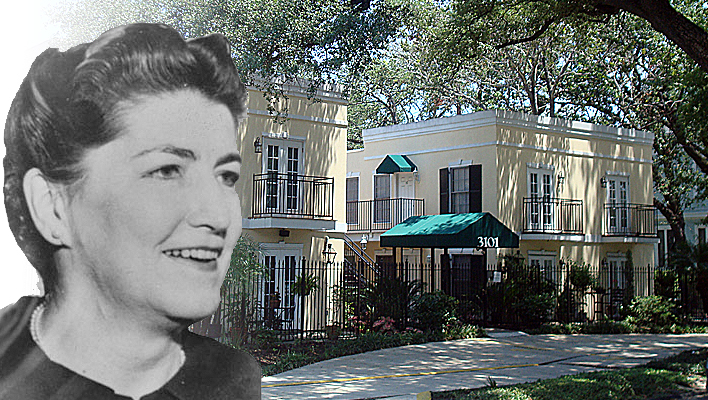 Prominent orthopedic surgeon and world renowned expert in cancer research, Dr. Mary Sherman (left) was brutally murdered on July 21, 1964 (the same day the Warren Commission started taking testimony on Lee Harvey Oswald’s activities in New Orleans) in her apartment building on St. Charles Avenue, in New Orleans. This 'assassination' remains officially unsolved--maybe because of the memo from J Edgar Hoover telling SAC-NO (Special Agent-in-charge of the New Orleans FBI office) that no active FBI investigation was to be conducted into the Mary Sherman murder--but there are some investigators and authors, in particular, Edward T. Haslam, author of Dr. Mary’s Monkey: How the Unsolved Murder of a Doctor, a Secret Laboratory in New Orleans and Cancer-Causing Monkey Viruses are Linked to Lee Harvey Oswald, the JFK Assassination and Emerging Global Epidemics, and Mary, Ferrie and the Monkey Virus: Story of an Underground Medical Laboratory, who discovered the truth regarding this very strange murder and, believe it or not, the assassination of John F. Kennedy is closely intertwined. Dr. Sherman was stabbed in the heart, liver, arm, leg, and stomach, and her right arm and rib cage were completely incinerated, totally disintegrated, yet the hair on her head remained untouched. The incinerated body parts supposedly occurred due to a small mattress fire, but the investigators determined that the massive burns inflicted upon her could not have occurred in her apartment. Of course, the details of her missing arm and ribs were not released to the public. Moreover, the wound to the heart hemorrhaged but the wound to the liver did not, indicating that she was alive at the time of the heart wound but already dead by the time the wound to the liver was inflicted.